“I really do feel like having them has taught my brother-in-law and sister a lot more about patience and love." 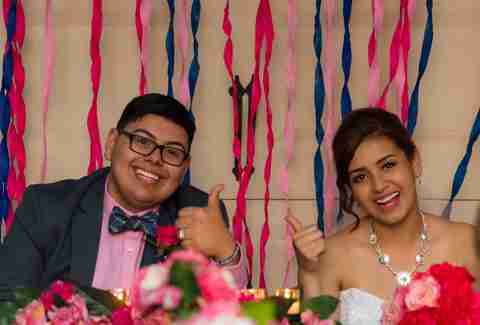 Texas-based couple Neydi and Carlos Romero have a very special way of commemorating their wedding day. 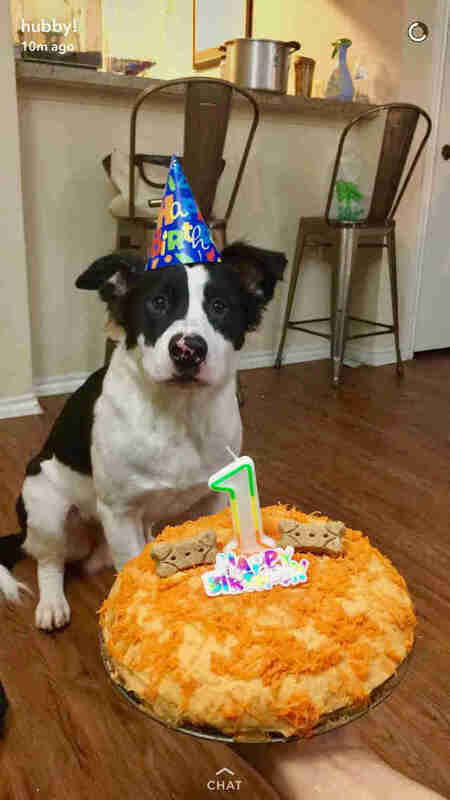 For three years running, the couple has adopted a dog on their anniversary, and as their family has steadily grown, the sweet gesture has become quite an unusual way of celebrating their marriage. 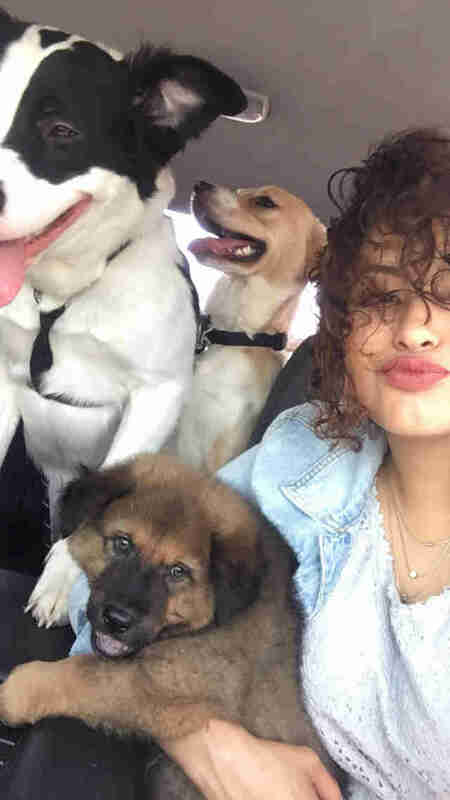 The three dogs have brought the couple plenty of joy in their first years of marriage, but have also taught them a fair amount of responsibility. 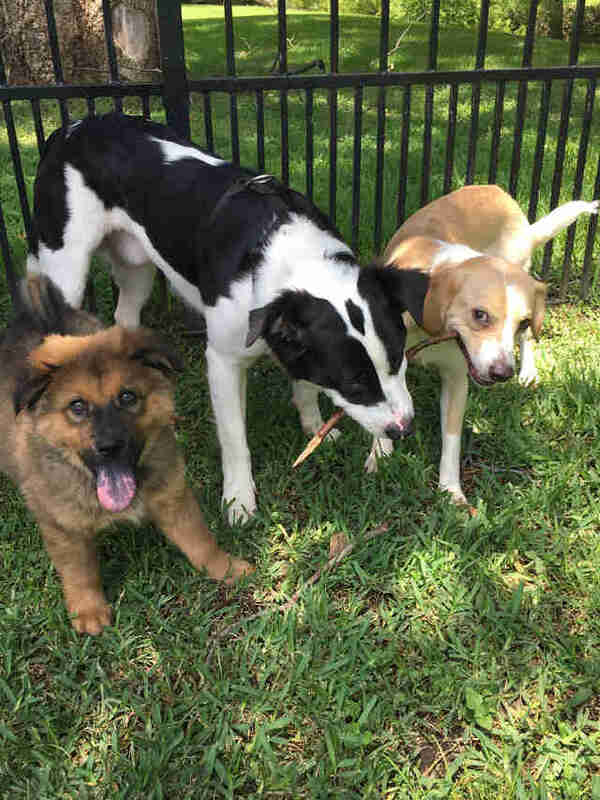 Luckily, the couple's three dogs, Teddy, Captain and Chewy all get along swimmingly. In Captain, an Australian shepherd with a touch of blue heeler, Neydi found a faithful companion and active playmate. “Captain is a sweet, smart and independent dog,” Romero says. “He is the one that takes care of me when I am sad or sick. He loves to go to the park and get chased by his doggie friends.” At home, Captain usually keeps to himself, but when toys are involved, the pup comes out of his shell. “He is obsessed with balls and bones,” Romero adds. 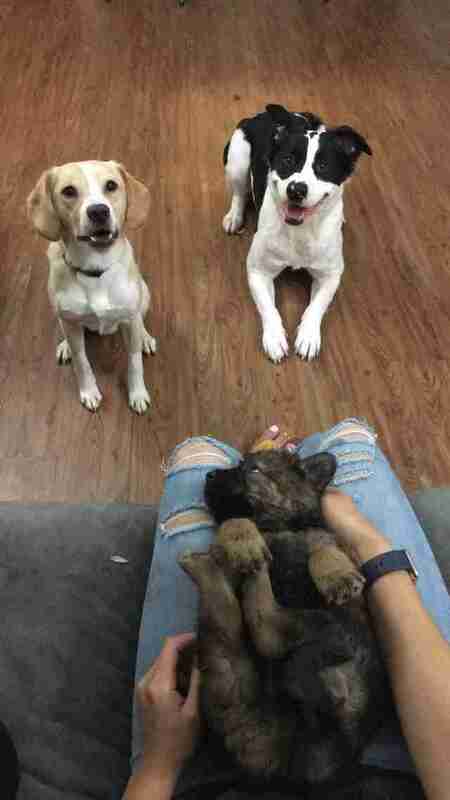 When year two rolled around, the couple decided it was time to give Captain a full-time playmate, so they rescued Teddy, a lab and beagle-mix, who was being given away “for free” on Craigslist. “He was infected with tapeworms and severely underweight when we first got him,” Romero says. 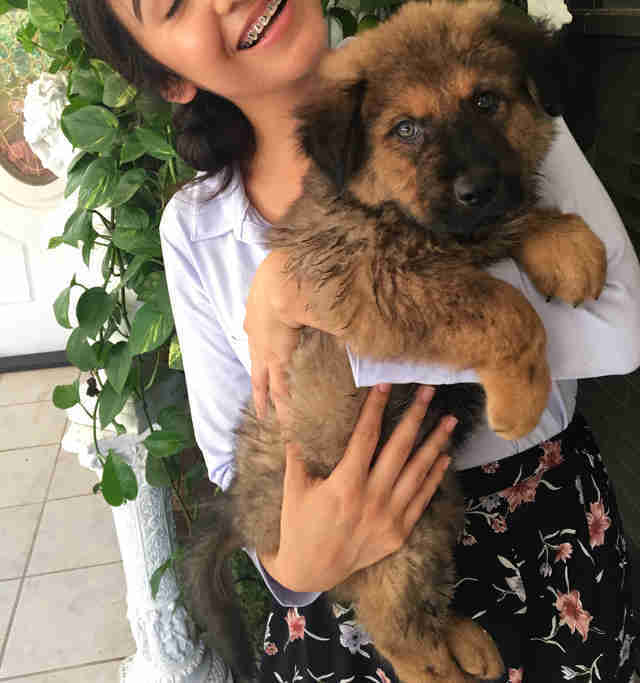 Chewy, a German shepherd-husky mix, was the latest to join the pack. 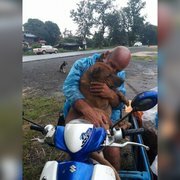 For their third anniversary, the couple rescued the puppy from a friend who could no longer care for him. Neydi was hesitant at first, but couldn’t resist the lovable dog-in-need. “He is a super smart and funny boy,” Romero says. “He is still a baby and it's too early to say what he will be like in the future, but I know he is a great dog." Having a puppy in the house with two adult dogs has been a bit of a challenge, but over the two months since the family brought Chewy home, they have found their rhythm. The couple takes their responsibilities very seriously, and discourage people from getting a dog on a whim. "A lot of people look at dogs like presents," Neydi told BuzzFeed News. "Each dog I got, I knew the responsibilities I was getting into. 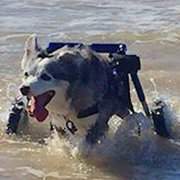 All dogs have a capability of living a long life. I don't think some people — at least some younger people — realize they're living things." While the Romeros have dreams of one day transforming their home into an animal rescue, currently, the line is drawn at five dogs.